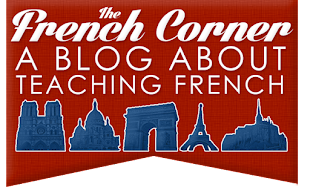 The French Corner: Designing a French Eatery: A Fun Assignment That Reinforces Culture! Designing a French Eatery: A Fun Assignment That Reinforces Culture! One of the things I like to hone in on when I'm teaching meal-taking is how different eating establishments such as a boulangerie, café, glacier, etc., work in France and other francophone countries. I like to even show students how different McDonald's looks in France than in the US! 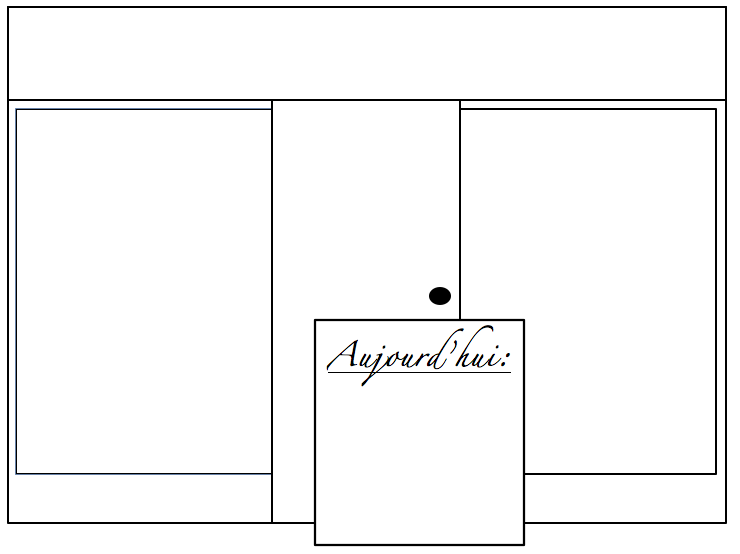 One assignment I have students do after they have seen lots of examples of different eating establishments is to design their own on a template I created. They have to name the establishment (this is where I teach them "Chez," although they are not required to use it in the name), list some items and prices on the outside menu (I don't even make them use articles because it's more authentic that way, but some choose to), and draw or print out some pictures of what it might look like inside. For example, a boulangerie would have different types of bread in the back. 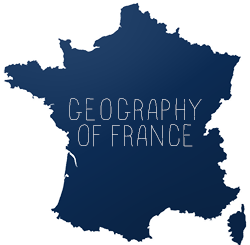 This is by no means meant to be a huge project, just an assignment that motivates them to compare and contrast eateries in France with those in their home country (in our case, the US). Quite a few students take it upon themselves to look up more specific vocabulary than what we have learned in class (for example ice cream flavors). Even more do research on their own to see more examples of French eateries to model their own after. What seems at first glance as just another coloring assignment at worst reinforces the vocabulary and the culture and at best compels students to conduct a little independent research to put out the best possible product. I end up decorating the front of my classroom with some of the more creative ones.